Want to celebrate with Disney's most beloved characters? 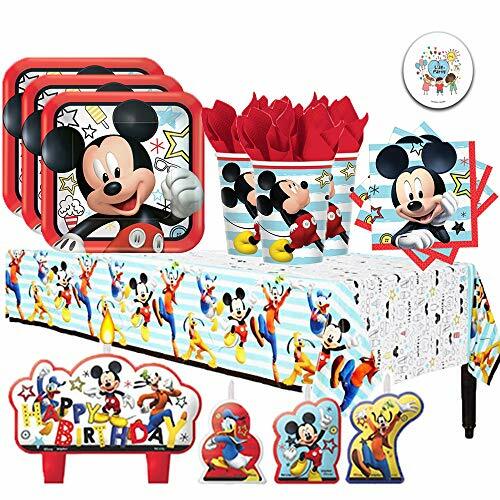 American Greetings offers variety of Disney Junior's Mickey Mouse Clubhouse party supplies, party favors, birthday decorations, tableware and invitations. 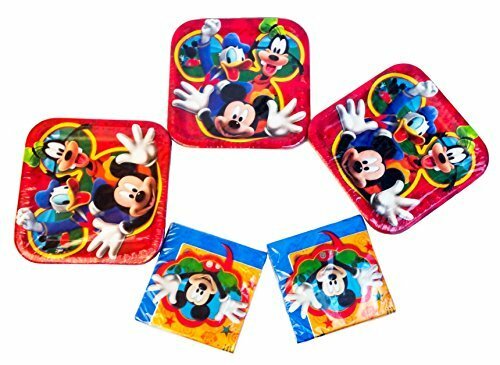 Brightly colored and playful designs feature Mickey Mouse, Minnie Mouse, Pluto, Goofy, Donald Duck, Daisy Duck, and other favorite Disney characters! 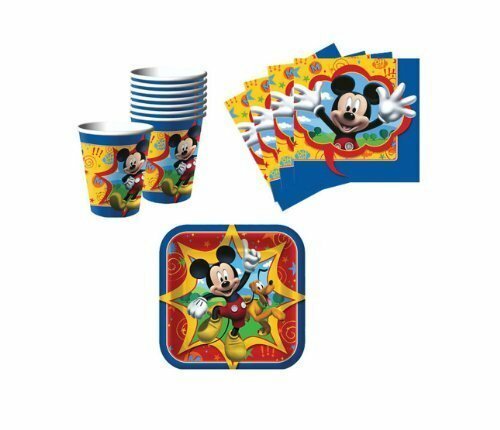 Party with Mickey and Pluto at your next birthday party! 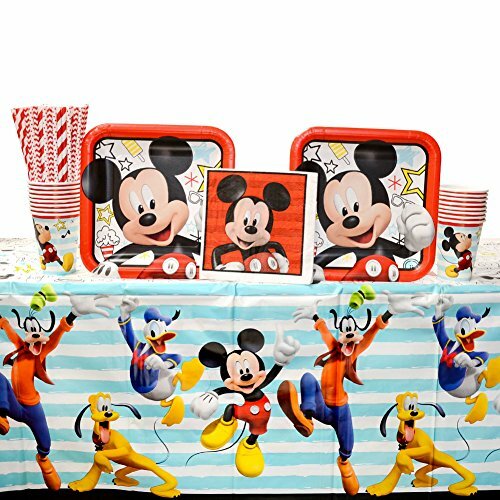 Your little one will love celebrating their special day with Disney's most beloved character! 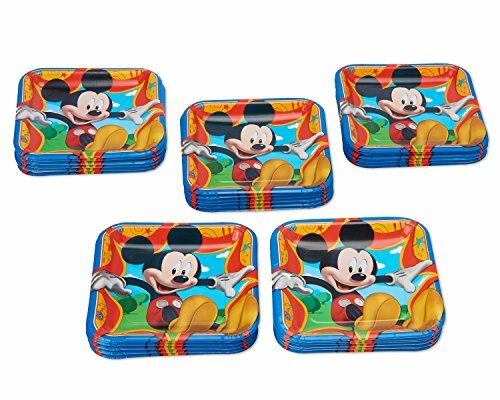 Bundle includes 16 dinner plates, 16 luncheon napkins, 16 cups, and 24 Cedar Crate Market brand straws made of non-toxic, BPA free, and elemental chlorine free materials. Strong and durable for lasting fun and enjoyment! Straws made in the USA! 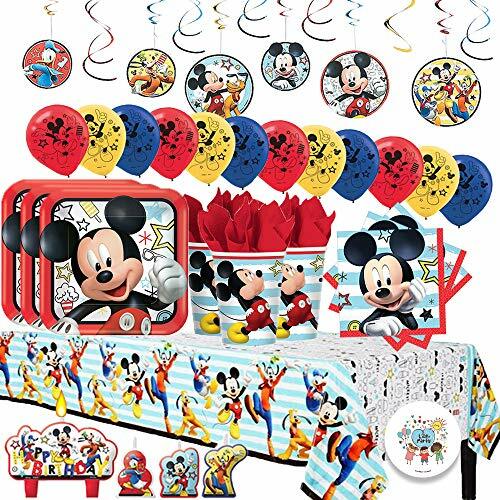 Party with Mickey and Pluto at your next birthday party! 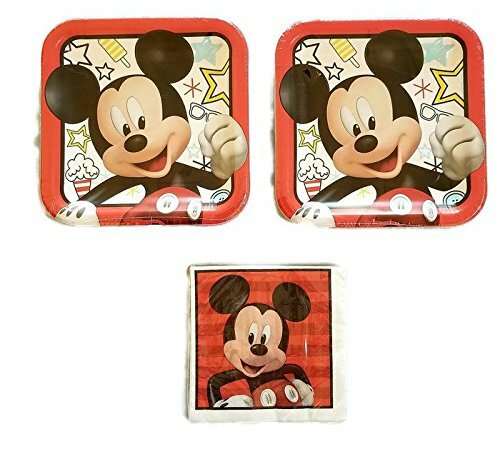 Your little one will love celebrating their special day with Disney's most beloved character! 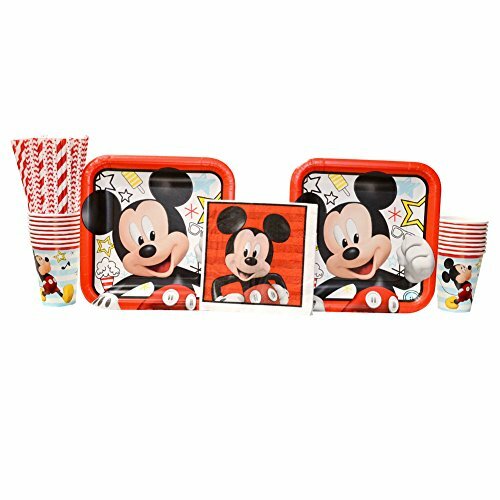 Bundle includes 16 dinner plates, 16 luncheon napkins, 16 cups, 1 table cover, and 24 Cedar Crate Market brand straws made of non-toxic, BPA free, and elemental chlorine free materials. Strong and durable for lasting fun and enjoyment! Straws made in the USA!